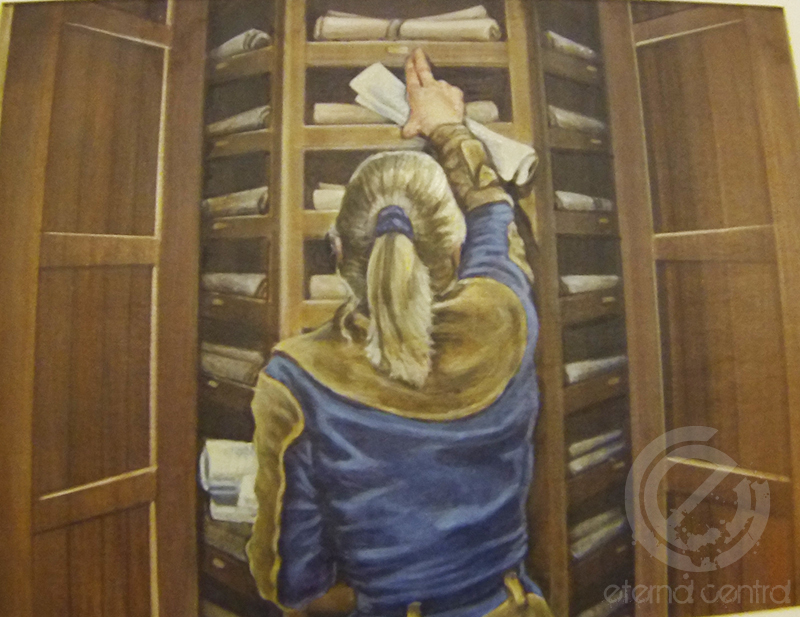 The first piece of original Magic artwork I ever acquired, here is the original painting for Scroll Rack, by long time Magic artist Heather Hudson. This piece out of 1997’s Tempest expansion has been featured in a number of deck’s throughout the game’s history, most notably in various iterations of the powerful Tax Rack deck. We will be featuring a number of pieces of original Magic artwork over the next few months here on Eternal Central. As we feature more pieces they will also be added to our gallery on the fantastic new site Original Magic Art, which is a site where different art collectors have begun sharing their Magic original artwork collections. We’d encourage you to check out our gallery there, as well as everyone else’s. Enjoy!